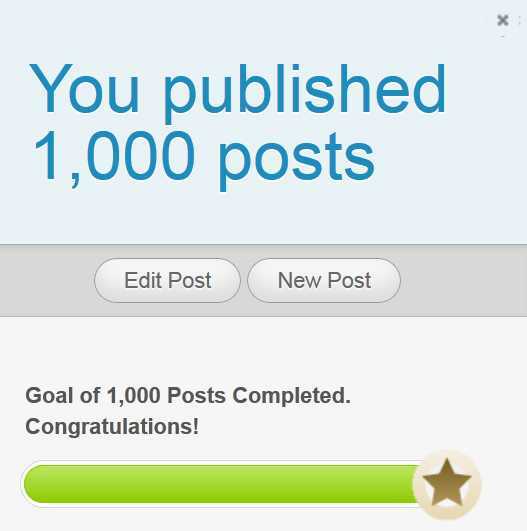 This will be my 1000th blog post since I started blogging nearly three years ago in 2011 – something which fills me with a certain amount of awe, coupled with a strong feeling I may have posted too often! When Abby from Appellation Mountain reached her 1000th blog post in 2010, she decided to share a few of the things she had learned about names as a blogger. I thought about doing that, then realised how embarrassing it would be to admit how little I knew to begin with. And I’ve learned so many things that I’d need another blog with 1000 blog posts to explain all that I’ve learned writing this blog. So instead I will share a few things I have learned about Australian names. Matilda, Lachlan and Banjo mean more to us than in other countries. Darcy is a boy’s name here, Asher is unisex, and Avery is only for girls. We have a special connection with Talia, but prefer to spell it Tahlia. Adrian was popular here for much longer than in other countries; Mitchell and Chelsea are still popular here while they have disappeared from the Top 100s of other places; Mervyn and Dulcie were only ever popular in Australia, while Derek and Gillian never became popular here. Because of our relatively small population size, name trends often show up earlier in Australia than elsewhere, so that names such as Isabella and Jayden were Top 100 here long before anywhere else. Does that mean that current Australian favourites like Amity and Braxton will become popular elsewhere? Only time will tell! Although Australia’s name trends are heavily influenced by both the UK and US, and sometimes by Europe, only one country can claim to be our baby name twin, and that is New Zealand. It’s seldom acknowledged, but we share more than 70% of our popular names with our Trans-Tasman cousins. Queensland is crazy for royal baby names – any name chosen by royalty will invariably rise in popularity this state. New South Wales is the only state with Arabic names in the Top 100 – Muhammad would be in the Top 30 there if all spellings were combined. Tasmanians adore vintage names, Western Australians tend to shun the classics for the contemporary, the Northern Territory has many names of Indigenous significance, and South Australians love a quirky middle name. The ACT has the strictest naming laws, and are therefore the most conservative at choosing baby names. Victorians are the name nerds of Australia – they are deeply interested in name trends, worry about popularity, and are the most likely to announce their baby’s name in the newspapers. I probably couldn’t function (as a blogger) without them. I love name stories and birth notices from country Australia, because they always have the most diverse selection of names, and the most unusual names and colourful name combinations. If it wasn’t for local newspapers, I don’t think I could keep doing the Birth Announcements each week. When I first started Waltzing More Than Matilda, I couldn’t help wondering if anyone would be interested in a blog about Australian names, and more importantly, I wasn’t sure if Australians would be interested! Happily, my doubts have been proven wrong, because every day people come to the blog searching for Indigenous Australian names, names of Australian plants, names of Australian towns and cities, names of famous Australians, and asking for “patriotic Australian names” to use for their son or daughter. It seems that there are many people at least considering a name with an Australian “flavour” for their children. 5. Australian parents are AWESOME namers! There’s a vocal, mean-spirited and ignorant group of people who think it’s fun (or funny) to insist that Australians are too stupid or tasteless to be allowed to name their own children. According to this mob, who often seem to work in the media, you only have to read a few birth notices to see that Australian babies are given increasingly bizarre “made up names” with a bewildering range of spellings and punctuation that render them barely comprehensible. Well, I read birth notices every day, and have done for years, and I can tell you that that is absolute tripe. Most babies are given fairly common names like Emily and Liam, and even less common names are usually traditional like Walter and Patricia, familiar like Axel and Clementine, or are from other cultures, like Malini and Ngemba. Variant spellings are generally low-key and easily coped with, such as Scarlette or Jaxson – out of the thousands of babies’ names I read each year, perhaps four or five have given me real difficulties in understanding them. Australian parents, let me tell you that you are doing a great job! A brilliant job! An outstanding job at naming your babies! You make reading birth announcements a joy and an adventure! Whether you chose the name Audrey or Behati. Whether you preferred Thomas or Zephyr. If you picked Felix or Kylen or Huckleberry or Lenny or Percival or Diamond. Opted for Eloise or Mietta or Taiyah or Rafferty or Storm or Xanthe. If your heart told you that the perfect name was Acacia or Digger or Lawson. Or you knew straight away that only Jack or Charlotte or Hamish would do. You all did the right thing, and you all did very well. You impress and amaze me every day. Thank you. I think WA’s less conservative names is because its not that hard for a name to make our top 50 (only 40 uses). The only Jayden I know is 16 and its spelt Jaidyn. My small towns starting to impress me with names Archer, Deacon, Kobe Elizabeth and brothers named Jasper and Sebastian. I probably don’t know as much about WA, because you do the birth notices from there. But I did notice that there seem to be far fewer traditional and classic names in their Top 50 compared to other states. Tasmania and the ACT have smaller populations, but they have lots of classic and traditional names in their Top 100. It would be helpful to see a Top 100 for WA, although their unique way of organising the Top 50 means you get to see around 60-70 of the top names anyway. I have noticed that almost everyone I know in WA has given their children non-traditional names. I think we just prefer our non-traditional names most of our top 50 are those names that get popular here and less popular in rest of the country. A top 100 wouldn’t work way too many ties and small birth numbers round the bottom though I would LOVE to see it. Cute post & congratulations. Keep up the good work! Lovely post and congratulations on the big 1000! As a young Australian name nerd, I’ve so enjoyed reading your blog and am excited for what’s to come. Congrats on reaching 1000 posts! I love getting the Australian view on names, it’s fascinating. And I completely agree with the Australians on Darcy – so much better on boys!